Aqua vitae, originally uploaded by dmzajac2004-. 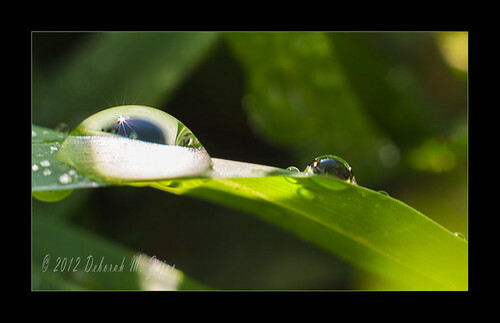 We had a rare day of June rain earlier this week so I thought I try again to get a nice rain drop photo. I’m not good at it, but I do like the star burst I got on this drop so I thought I’d share it. WOW! An amazing shot in all aspects. Hi Cobus!Thank you so much!